This contest is brought to you by Leafly, the world’s cannabis information resource, and Smoke Cartel, an online retailer and head shop made up of a close-knit team of glass lovers dedicated to making sure you get the best possible smoking gear. Have you ever wished you could design your own glass piece? Here’s your chance! Leafly and Smoke Cartel are teaming up to give you the opportunity to create your own line of smokeable glassware. The winner will receive three prototypes of their design. Better yet, the winning design will be added to the Smoke Cartel online store and available for purchase by you and all your friends! Design submissions close on Monday, November 23rd. Leafly and Smoke Cartel will narrow the designs down to the top 10 finalists who will be announced Wednesday, November 25th. Vote for your favorite design out of the top 10. Voting closes Tuesday, December 1st. The winning design will be announced Thursday, December 3rd. The base of your piece is where you should start, it is the foundation of your creation. Beaker Base Closed Top – The bottom of a water pipe that resembles a scientific beaker in shape with a closed top. Beaker Base Open Top – The bottom of a water pipe that resembles a scientific beaker in shape with an open top. Straight Tube Closed Top – The bottom of a water pipe that resembles a scientific beaker in shape with a closed top. Tube Extension Large – A large straight tube extension. Tube Extension Small – A small straight tube extension. The neck of your piece is what completes your creation and is the final stage of the smoke getting to your mouth. Bent Neck Closed – A closed bent neck is a straight tube neck that has been bent to curl close to your mouth. It’s designed to prevent splashback. Bent Neck Open – An open bent neck is a straight tube neck and mouthpiece that has is bent to curl close to your mouth. It’s designed to prevent splashback. Straight Neck Closed – A straight tube which serves as the mouthpiece with a closed top. Straight Neck Open – A straight tube which serves as the mouthpiece with an open top. Percs are the unique devices within your pipe that percolate and diffuse your smoke in water, bringing you a smooth, unique hit with each different perc variant and combination. Domed Showerhead Perc – A dome-like enclosure with slits or holes where the dome meets the bottom. These percolators allow for diffusion when the smoke passes through the dome and separates when exiting the holes on the edges. Frit Disc Perc – A fritted disc perc is a perc that is made up of fritted glass, which can resemble a single, solid, crystal-like disc of glass that has thousands of microscopic openings to diffuse the water and smoke, which in turn create very small bubbles and a very unique pull. Honeycomb Perc – A type of disk perc that looks like a honeycomb. It offers more diffusion than a standard disk perc because of the number of small holes that further divides the smoke that passes through them. The more holes, the better the diffusion. However, if the holes are too small, drag increases. Inline Perc – An inline perc is a horizontal tube with gridded slits cut around and under the tube. Inline percs are also often referred to as barrel percs. Matrix Perc – A taller puck-type perc, with many, many tiny holes that make for a bubbly diffusion. Reti Slit Perc – A perc that features subtle oppositely running slits which create a unique vortex-type pull of water and smoke. Showerhead Perc – A vertical tube that flairs out at the bottom, with slits or holes for diffusion. Sprinkler Perc – A unique perc featuring a sprinkler-like design that shoots water just like a lawn sprinkler. Swiss Perc – A vertical style percolator seen on a unique style of water pipes that resembles Swiss cheese, with holes made on a large vertical disc-like shape that lets smoke pass around them. Tree Perc – A tree perc is comprised of a chamber with multiple internal arms. Arms will either be open-bottomed or closed, usually with slits on the sides. Smaller slits give smaller bubbles, which gives more diffusion. The more arms, the more the smoke is separated, which allows for even more filtration and percolation. Joints are the part of the piece that connects your bowl, dome, nail, etc. to the rest of your rig. 45 Degree Joint Open – An open joint that connects to your rig at a more acute, 45 degree angle. 45 Degree Joint Outline – An outline of a joint that connects to your rig at a more acute, 45 degree angle. 45 Degree Joint – A joint that connects to your rig at a more acute, 45 degree angle. 90 Degree Joint Open – An open joint that connects to your rig at a fully upright 90 degree angle. 90 Degree Joint Outline – An outline of a joint that connects to your rig at a fully upright 90 degree angle. 90 Degree Joint – A joint that connects to your rig at a fully upright 90 degree angle. At this stage you can add a personal touch to further customize your very own rig or water pipe by adding ash catchers or logos. Ash Catchers – An ash catcher is a removable barrier that adds an extra layer of diffusion to your pipe. A basic 45 degree bowl ash catcher. This is where you can totally customize your pipe with whatever colors and designs you can come up with! Eligibility: The Smoke Cartel™ x Leafly® Design Your Own Glass Contest (the “Contest”) is open only to legal residents of the 50 United States and the District of Columbia who are age 21 years and older as of the beginning of the Contest Period. Employees, officers, and directors of Thread Cartel LLC and Leafly Holdings, Inc., and their immediate family members (including spouses, unmarried partners, parents, grandparents, siblings, children and grandchildren) of any such employee, officer or director, are not eligible to enter the Contest or win a prize. The Contest is subject to all applicable federal, state and local laws and regulations and is void where prohibited by law. Agreement to Official Rules: The Contest will be governed by these Official Rules. By participating in the Contest, you agree to be fully and unconditionally bound to these Official Rules, and you represent and warrant that you meet the eligibility requirements set forth herein. Contest Period: The Contest begins at 9:00 a.m. Pacific Time (“PT”), November 10, 2015, and ends at 11:59 p.m. PT, November 22, 2015 (the “Contest Period”). The Contest Period consists of three (3) phases as outlined in the chart below. Entries or votes received after the Contest Period or the applicable end date set forth below shall be disqualified. Administrator’s computer is the official time-keeping device for the Contest. 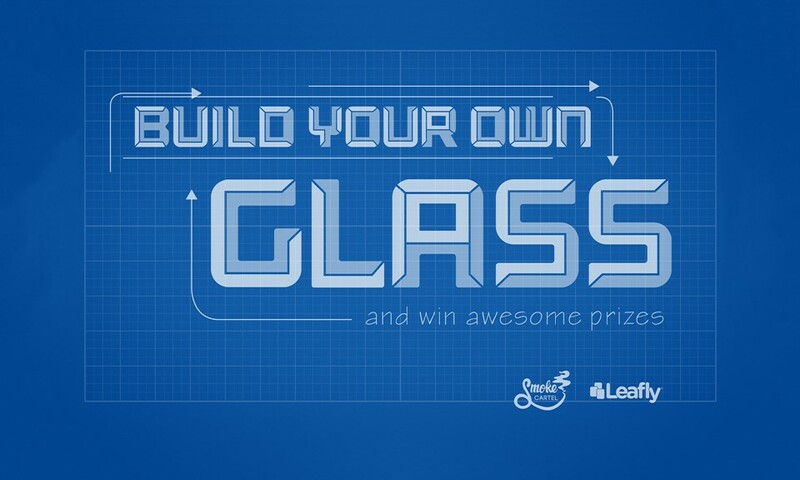 During the Contest Submission Phase, visit https://www.leafly.com/news/headlines/design-your-own-glass-piece-contest (the “Contest Website”) and follow the instructions to complete an entry registration form and submit your original glass design (“Design”) via the “Build Your Own Glass” tool (each an “Entry” and collectively “Entries”) for use with legal smoking herbs. Each Entry must comply with the Submission Guidelines, below. Sponsor reserves the right to reject any Entry if Sponsor determines, in its sole discretion, either: (1) the Entry cannot feasibly be produced; or (2) the Entry does not abide by these Official Rules or the Submission Guidelines. Limit one (1) Entry per person per day during the Contest Submission Phase. Any attempt to obtain more than the permissible number of Entries by using multiple/different user accounts or otherwise may void your Entries and/or disqualify you from the Contest. Any use of robotic, repetitive, automatic, programmed or similar entry methods or agents (including, but not limited to, Contest entry services) will void all entries by that entrant. Entrants must provide a valid email address in the entry registration form. If you choose to participate using your mobile device, message and data rates may apply. See your wireless provider for pricing plan and participation details. Once submitted, all Entries, including the Designs, become the exclusive property of Sponsor and will not be acknowledged or returned, and may be used by Sponsor for any purpose whatsoever. Entrant specifically acknowledges that Sponsor may manufacture units of Entrant’s Design and may affix Sponsor’s name and/or logos on such Designs for use in a prize or other product. BY SUBMITTING AN ENTRY, ENTRANT ACKNOWLEDGES THAT HIS/HER ENTRY MAY BE POSTED ACROSS ANY OR ALL OF SPONSOR’S DIGITAL AND SOCIAL ASSETS, AT SPONSOR’S DISCRETION. Submission of an Entry grants Sponsor and their respective agents the right to publish, use, adapt, edit, and/or publicly perform and/or modify such Entry in any way, in any and all media, including for use in advertising and marketing, without limitation and without consideration to entrant. depict a child or other person under age 21 years of age, or otherwise suggest the presence of such person, or include content that might be appealing to persons under 21.
be intended only for and capable of use with legally smoking dry herbs or use with oil. be no more than 20 inches in height. Finalist Selection. All eligible Entries received during the Contest Submission Phase will be judged by a panel of six (6) judges selected by Sponsor (the “Judges”). The Judges will evaluate each eligible Entry based on (1) creativity, (2) functionality, and (3) feasibility of production, and select the top ten (10) Entries (each a “Finalist Entry” and collectively the “Finalist Entries”) which will then be submitted to public vote. Public Voting/Winner Selection. The Finalist Entries will be posted on the Contest Website at the beginning of the Public Voting Phase. Members of the public ages 21 years and older will be invited to vote for the Finalist Entry they believe is best. Limit one (1) vote per person during the Public Voting Phase. Multiple votes received from any person or email address in excess of the stated limit will be void. Any attempt by any entrant or voter to obtain more the stated limit by fraudulent or inappropriate means, including without limitation, offering prizes or other inducements to members of the public as determined by Sponsor in its sole discretion, by using any automated program, by using multiple/different email addresses, identities, registrations and logins, or any other methods, may void those votes for a Finalist Entry and such Finalist Entry may be disqualified as determined by Sponsor in its sole discretion. The three (3) Finalist Entries that receive the highest number of valid votes during the Public Voting Phase will be deemed the potential contest winners as follows: (a) the Finalist Entry receiving the highest number of valid votes, the potential “Grand Prize Winner”; (b) the Finalist Entry receiving the second highest number of valid votes, the potential “Second Prize Winner”; and (c) the Finalist Entry receiving the third highest number of valid votes, the potential “Third Prize Winner.” In the event of a tie, the applicable winner shall be determined by the Judges, in their sole discretion, from amongst the tied Finalist Entries. Winner Notification and Prize Acceptance: Potential winners will be notified via email at the email address provided in the Entry registration form on or about December 3, 2015. Potential winners will be required to complete and return an Affidavit of Eligibility and Liability/Publicity Release (except where prohibited), IRS W-9 form, assignment of copyright, and/or other requested documentation within five (5) days of date of notification. Upon the request of Sponsor, a potential winner shall promptly take such further actions, including execution and delivery of all appropriate instruments of conveyance, as may be necessary to assist Sponsor to prosecute, register, perfect or record its rights in or to any Entry or Design therein. If such documents and/or responses are not returned within the specified time period, a prize or prize notification is returned as undeliverable, Sponsor is unable to contact a potential winner, or a potential winner is not in compliance with these Official Rules, the prize will be forfeited and, at Sponsor’s discretion, an alternate winner may (but is not required to) be selected. If no alternate selection is conducted for a prize, the prize will not be awarded. Neither Administrator nor Sponsor shall have any liability for winner’s failure to receive notices due to spam, junk, email or other security settings or winners’ provision of incorrect or otherwise nonfunctioning contact information. Sponsor’s decisions will be final in all matters relating to this Contest. Prizes: Three (3) prizes will be awarded in total, as further detailed below. Total Approximate Retail Value (“ARV”) for all prizes: US$1,370.00. No cash or other prize substitution permitted except at Sponsor’s discretion. Sponsor may substitute any prize at any time for a prize of equal or greater value. Prizes are non-transferable. One (1) Grand Prize consisting of (i) three (3) units of the winning glass Design branded with Sponsor’s name and/or logos; (ii) $300 gift card to www.smokecartel.com; (iii) one (1) Leafly flavor poster; and (iv) one (1) Leafly Gear Pack. Grand Prize ARV: $600.00. A “Leafly Gear Pack” consists of a Leafly t-shirt, Leafly sunglasses, Leafly magnets, and Leafly stickers. 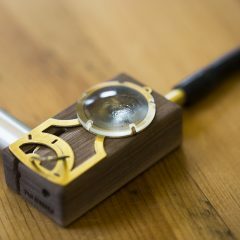 One (1) Second Prize consisting of (i) $200 gift card to www.smokecartel.com; and (ii) one (1) Leafly Gear Pack. Second Prize ARV: $285. One (1) Third Prize consisting of (i) $100 gift card to www.smokecartel.com; and (ii) one (1) Leafly Gear Pack. Third Prize ARV: $185. Odds of Winning: Odds of winning depends on number of total eligible Entries received and winners will be selected based on the judging criteria set forth in Paragraph 6 above. Taxes: Any valuation of the prizes stated above is based on available information provided to Sponsor. The value of a prizes will be taxable to the applicable winner as income. All federal, state and local taxes and any other costs and expenses associated with the acceptance and/or use of any prize are solely the winner’s responsibility. Winner(s) (is/are) solely responsible for reporting and paying all applicable taxes. Winner may be required to provide the Sponsor with valid identification and a signed IRS Form W-9 before any prize will be awarded. United States residents that win $600 or more in prizes will have income reported to them on IRS Form 1099, as required by IRS rules and a copy of said form will be sent to the IRS. Grant of Rights to Entries: By entering this Contest, entrants grant to Sponsor and their respective/and its designees, successors, licensees and assigns a royalty-free, irrevocable, perpetual, non-exclusive license to use, reproduce, modify, publish, broadcast, edit, modify, create derivative works from, display, and otherwise exploit the Entry, including the Designs (and all rights embodied therein) on a worldwide basis, and to incorporate it into other works, in any form, media or technology now known or later developed, for any purpose, in any manner (including, without limitation, on website and social media pages of Sponsor or Administrator), including without limitation for commercial, promotional or marketing purposes, without compensation or notification to, or permission from, you. Sponsor is not obligated to use any of the above-mentioned information or materials. By entering this Contest, entrant acknowledges and agrees that Sponsor may receive many Entries under this Contest and that such Entries may be similar or identical in theme, idea, format or other respects to others submitted under the terms of this Contest and/or other contests staged and/or sponsored by Sponsor, and waive any and all claims entrant may have had, may have, and/or may have in the future, that any Entries and/or other works accepted, reviewed and/or used by other entrants and/or Sponsor (or their designees) may be similar to entrant’s Entry. Entrant acknowledges and agrees that Sponsor has not, nor shall have in the future, any duty or liability, direct or indirect, vicarious, contributory, or otherwise, with respect to the infringement or protection of any copyright in and to entrant’s Entry. Publicity Release: Acceptance of any prize constitutes permission for Sponsor and their respective designees to use winner’s Entry, name, and/or likeness for advertising and marketing purposes, without additional compensation, in any media, worldwide, unless otherwise prohibited by law. Releases, Waivers and Limitation of Liability: By participating in the Contest, entrant warrants and represents: (a) he/she is the sole and exclusive owner of the Entry, including all rights therein, and that the Entry has not been entered in any previous contests or competitions; (b) entrant has the full and exclusive right, power and authority to submit the Entry and to grant the Sponsor the rights to the Entry, including but not limited to the worldwide copyright; (c) no part of the Entry has been published or distributed; and (d) no rights in the Entry have been previously granted to any person, firm, corporation or other entity. Sponsor reserves the right in its sole discretion to disqualify any Entry at any time in the event it is determined that the Entry is offensive, inappropriate, not in keeping with Sponsor’s image or if it is determined that the entrant has not otherwise complied with these Official Rules. By participating in the Contest, you hereby release Sponsor and Administrator and their respective parent companies, affiliates, and promotional partners, and each of their respective officers, directors, employees, and agents (the “Released Parties”) from and against any and all legal claims, losses, injuries, demands, damages, and/or causes of actions that may occur, directly or indirectly, whether caused by negligence or not, including without limitation for personal injury, bodily injury, property damage, violation of publicity or privacy, defamation, arising from: (i) your participation in the Contest and submission of an Entry, and your acceptance, possession, use or misuse of any prize or any portion thereof; (ii) any claims of infringement related to the Sponsor’s or Administrator’s use of an Entry submitted in connection with the Contest; (iii) technical failures of any kind, including without limitation, the malfunctioning of any computer, cable, network, hardware or software; (iv) the unavailability of any transmissions or telephone or internet service; (v) unauthorized human intervention in any part of the entry process or the Contest; (vi) electronic or human error which may occur in the administration of the Contest or processing of entries or votes; and (vii) Sponsor’s or Administrator’s use of your Entry, name or likeness. Further, you hereby acknowledge that Released Parties have neither made nor are in any manner responsible or liable for any warranty, representation or guarantee, express or implied, in fact or in law, relative to a prize awarded in connection with the Contest. The releases hereunder are intended to apply to all claims not known or suspected to exist with the intent of waiving the effect of laws requiring the intent to release future unknown claims. If, for any reason, the fairness or integrity of the Contest becomes compromised, Sponsor reserves the right to terminate or modify the Contest, and to disqualify any individual who tampers with the entry process or the administration of the Contest. Each entrant further agrees to indemnify and hold harmless the Released Parties from and against any and all liability resulting or arising from entrant’s participation or Entry in the Contest. Governing Law; Disputes: This promotion is governed by the laws of the State of Washington, without regard to its conflict of laws rules. By entering, entrants and winners hereby submit to the jurisdiction and venue of the federal, state and local courts located in Seattle, Washington. Any attempt by an entrant or any other individual to deliberately damage any website related to Sponsor, Administrator or the Contest may be in violation of criminal and civil laws, and should such an attempt be made, each of Sponsor and Administrator reserves the right to seek damages from such entrant to the fullest extent permitted by law. BY ENTERING THE CONTEST, ENTRANT AGREES THAT: (1) ANY AND ALL DISPUTES, CLAIMS AND CAUSES OF ACTION ARISING OUT OF OR CONNECTED WITH THE CONTEST, OR ANY PRIZE AWARDED, WILL BE RESOLVED INDIVIDUALLY, WITHOUT RESORT TO ANY FORM OF CLASS ACTION; (2) ANY AND ALL CLAIMS, JUDGMENTS AND AWARDS WILL BE LIMITED TO ACTUAL THIRD-PARTY, OUT-OF-POCKET COSTS INCURRED, (IF ANY), NOT TO EXCEED TWO HUNDRED FIFTY DOLLARS ($250.00), BUT IN NO EVENT WILL ATTORNEYS’ FEES BE AWARDED OR RECOVERABLE; (3) UNDER NO CIRCUMSTANCES WILL ANY ENTRANT BE PERMITTED TO OBTAIN ANY AWARD FOR, AND ENTRANT HEREBY KNOWINGLY AND EXPRESSLY WAIVES ALL RIGHTS TO SEEK, PUNITIVE, INCIDENTAL, CONSEQUENTIAL OR SPECIAL DAMAGES, LOST PROFITS AND/OR ANY OTHER DAMAGES, OTHER THAN ACTUAL OUT-OF-POCKET EXPENSES NOT TO EXCEED TWO HUNDRED FIFTY DOLLARS ($250.00), AND/OR ANY RIGHTS TO HAVE DAMAGES MULTIPLIED OR OTHERWISE INCREASED; AND (4) ENTRANT’S REMEDIES ARE LIMITED TO A CLAIM FOR MONEY DAMAGES (IF ANY) AND ENTRANT IRREVOCABLY WAIVES ANY RIGHT TO SEEK INJUNCTIVE OR EQUITABLE RELIEF. 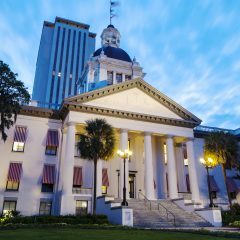 SOME JURISDICTIONS DO NOT ALLOW THE LIMITATIONS OR EXCLUSION OF LIABILITY FOR INCIDENTAL OR CONSEQUENTIAL DAMAGES, SO THE ABOVE MAY NOT APPLY TO YOU. Winner’s List: To request a list of winners: (a) send a stamped self-addressed envelope to: Marketing – Smoke Cartel™ x Leafly® Design Your Own Glass Contest Winner’s List, 1920 Eastlake Ave E., Seattle, WA 98201; or (b) email social@leafly.com with Smoke Cartel™ x Leafly® Design Your Own Glass Contest Winner’s List in the subject line. 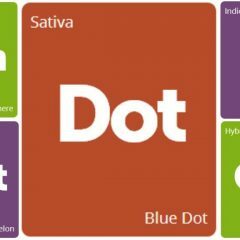 Sponsor: Thread Cartel LLC, d/b/a Smoke Cartel, 302 West Victory Dr., Savannah, GA 31405 and Leafly Holdings, Inc., 1920 Eastlake Ave E., Seattle, WA 98201 (collectively, the “Sponsor”). Administrator: Leafly Holdings, Inc. (“Administrator”), 1920 Eastlake Ave E., Seattle, WA 98201.